Find the personal art pieces that suit your unique landscape design and choose the tools and supplies you need to complete the job. 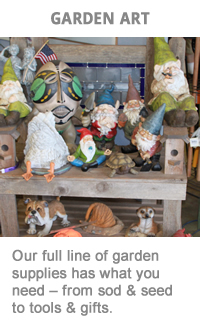 From the casual gardener to the professional landscaper we carry the items you need to dig, plant and beautify. 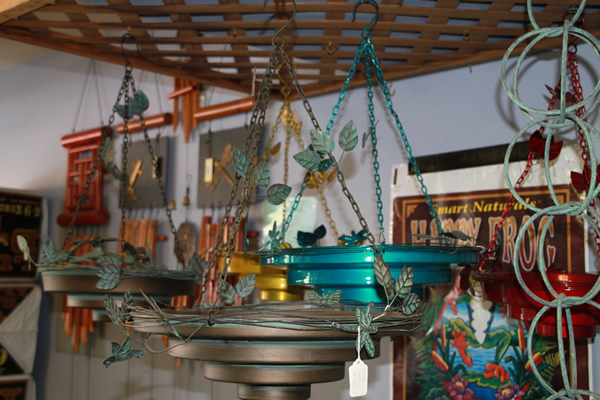 Everything is in stock at our large Burien property. Come by and see us. Yes, we have tarps and tools! Shovels, Rakes and other gardening tools: Don’t have a tarp ready for your delivery? Have one delivered with your load! Get that new shovel you’re needing too! 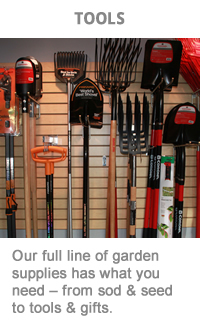 Check out our Tools & Gardening Supplies page below. 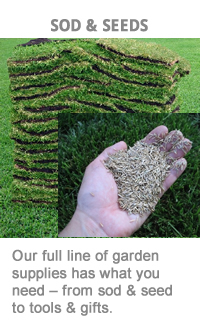 Do you need sod or some bagged seed for your yard? View a selection of our JB Sod and Seed below and contact us with any questions or to place an order.